Low and Mean is attacking the Star Stryker with forward thinking that results in more power and better designs. 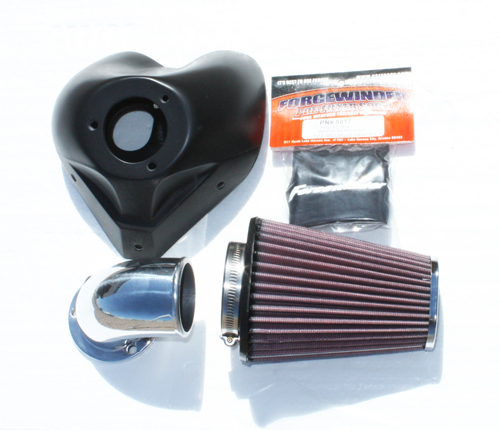 This Performance Air Intake System has the function to adapt the biggest high flow air filters on the market. No other system will allow you to adapt several different styles as the one you see on this page. Our Intake adapter has the same common bolt pattern as you would find on 90% of the Harley Davidson aftermarket filters. 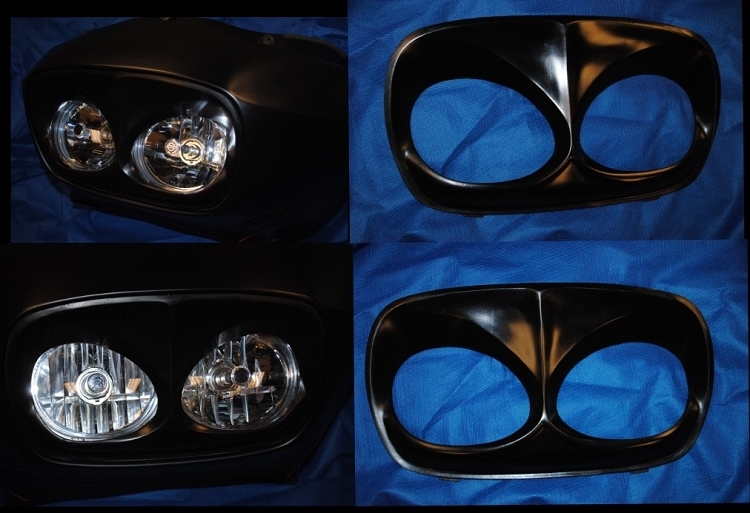 With this style of air intake adapter you’ll be able to improve the performance of your Star Stryker and keep your ride looking different then the next guy. If you want just the Performance Air intake adapter then you can purchase this for $199. To further separate our product from the rest, there’s also no other system that completely covers the throttle body and helps hide the wires, hoses and cables like what is offered . Designed to maximize exhaust flow for increased performance with more mid-range torque and overall power. This system features 1-3/4″ header pipe with 2-3/8″ full-coverage heat shields. 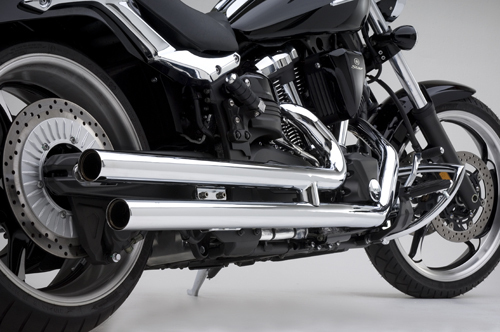 Heat shields are constructed of heavy-gauge steel then polished and richly chrome-plated for an extra-durable, shiny finish. 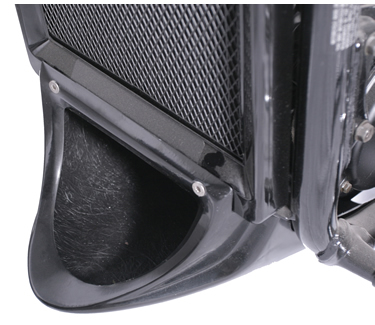 Baffles are non-removable. Comes with mounting bracket and hardware. The Honda Fury Lower Chin Scoop was designed to make your Fury look lower and faster while standing still. This simple bolt on item flows perfectly with the stock radiator cover, making it look like one complete part from the factory.This product does not bolt on to the aftermarket grills, if you decide to purchase, No returns or warranties on modified items do to improper install. Picture above shows the Chin Scoop with the optional Honey Comb Screen. LM’s Chin Fairing fits perfectly with the stock radiator cover. 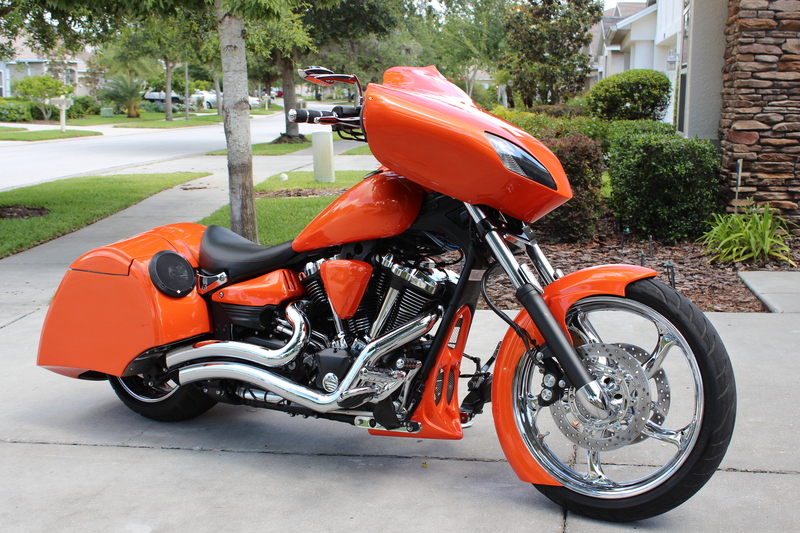 The LM Chin Fairing gives you that sporty look and the aerodynamic scoop helps keep the motor running cooler. This product is made from a strong fiberglass construction, gel-coat finish, flack black inner finish, stainless steel hardware, and instructions. 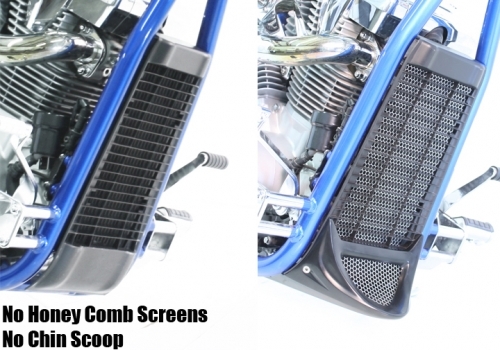 Check out LM’s Honey Comb screens for that added custom look for your Chin Fairing. Always feel free to view our instructions on-line under each manufactures category. This product fits the Kawasaki Vulcan Mean Streak 1500 &1600.